In 3rd grade, students have been working on presentation of themselves. After answering series of questions they wrote a short text. 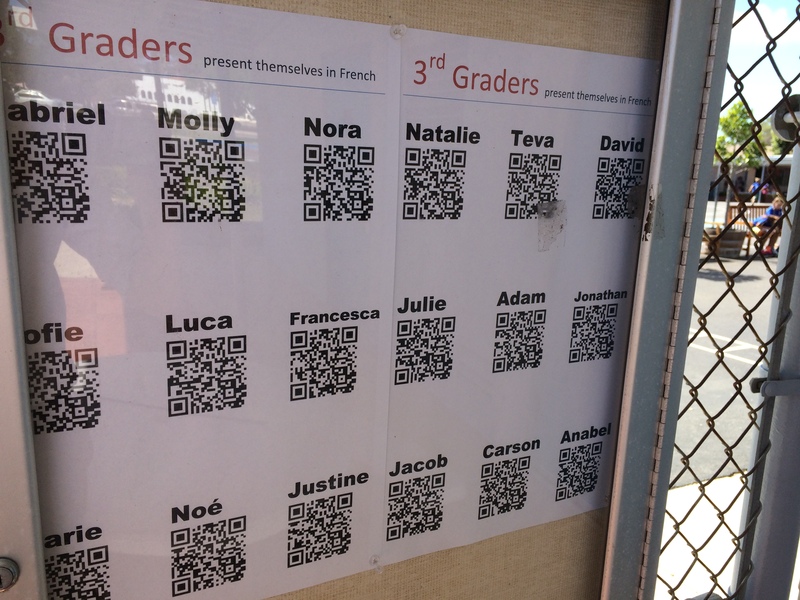 Then, they recorded their presentation using “Tellagami” on ipads: they choose between different animation, costumes, background…All the presentation have been transferred as QR codes and are now displayed at the entrance of the school. Parents can visualize the presentation using smartphone.